Abraham Hostels was founded in order to create a home for independent travelers In Israel and the region. We aim to meet all needs of travelers offering affordable accommodation, unique atmosphere, exceptional service, friendly staff and extensive facilities, which include the hostel lounge and bar. The Abraham Hostel Bars are located on the 1st floor lounge of the Jerusalem and Tel Aviv Hostels. Bringing together Travelers and locals, both bars host various events, lectures, parties and live concerts. All events are free for Abraham Hostel guests. The Abraham Hostel Bars are open daily offering a unique atmosphere where travelers and locals alike can chill out and enjoy an international atmosphere. The bars offer Pool tables, foosball tables, hammocks and a seating area. 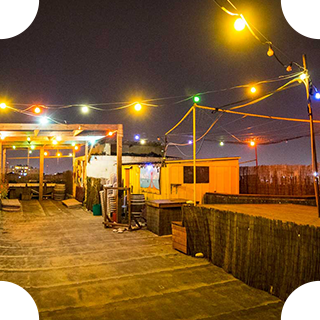 The Abraham Hostel Tel Aviv is located on Levontin Street, 50 meters from the buzzing Rothschild Boulevard in the small neighborhood known as Electric Garden (Gan HaHashmal). We’re in the heart of the city’s cafe, restaurant, and nightlife scene and within walking distance of the beach, Old Jaffa, the edgy Florentin neighborhood, and the city’s main cultural attractions. 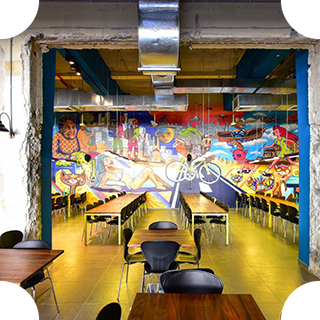 The hostel is built with the global traveler in mind, offering almost 400 beds in private and dorm rooms, bringing a new standard of quality hostel to Israel. The hostel features a huge lounge and bar offering daily events, self-catering kitchen area, rooftop, travelers’ center, and more. The Abraham Hostel Jerusalem is located in Jerusalem’s city center, near one of Jerusalem’s most famous markets, the Mahane Yehuda, and right in front of a tram and bus stop providing connection to the city’s most important landmarks. Chosen by Hostelworld as the #5 large hostel in the world and described by the lonely planet as “the mecca of budget travelers”, Abraham Hostel Jerusalem hosts guests from around the world who enjoy its warm atmosphere, convenient location, friendly staff, daily events and tours, and extensive facilities. 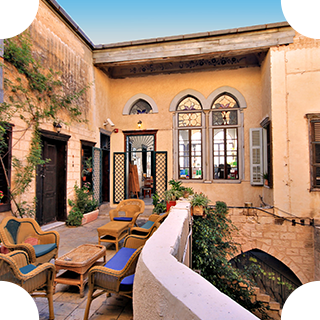 The Fauzi Azar Inn is a 200-year-old Arab mansion turned guesthouse in the heart of Nazareth, offering both dormitory beds and private rooms in a unique old-world atmosphere. Chosen by Lonely Planet as #7 hostel in the world for 2014 and described by the Lonely Planet Travel Guide “one of the highlights of a stay in the Galilee” and “a great base for touring major sites of the Galilee.” The Fauzi Azar’s style is intimate and relaxed, with a warm atmosphere where guests and staff can meet, share travel stories and tips, and make new and lasting friendships. The Fauzi Azar Inn facilities include free breakfast, Free WIFI thought the hostel, Guest kitchen & more.